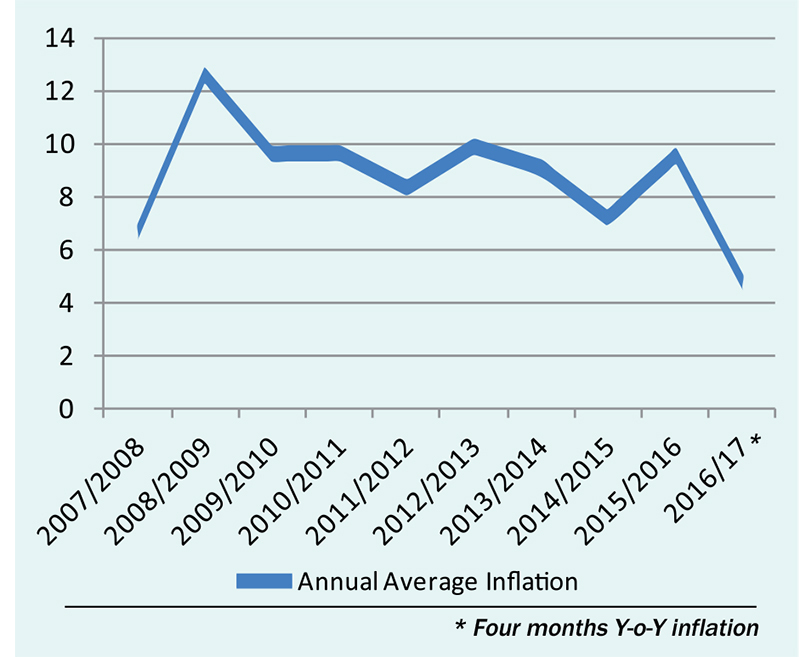 KATHMANDU, Dec 16: Following a ‘spiralling rise in prices’ in the last fiscal year due to prolonged tarai unrest and unofficial economic blockade in the last fiscal year, the inflation has come down to 4.8 percent in the mid-November this year. The rise in the inflation rate--as measured in consumer price index (CPI)-- is one of the lowest in last one decade. While it has provided some respite to the government and the central bank that was fighting to tame the inflation to below double digits in the last few years, economists say that the price rise has not actually stopped. Analysts say that the rise of the prices by 4.8 percent on year-on-year basis is still a huge increment compared to the spiral rise in prices in the last year which was fuelled by tarai unrest and the Indian blockade. For example, something that would cost Rs 100 in mid-November in 2014 surged to Rs 106.7 in mid November last year due to tarai unrest. But, the price that had gone up unnecessarily due to unrest last year went up further by Rs 4.8 in mid-November this year to reach Rs 111.5. The inflation rate was so rapid that it climbed to 12.1 percent in mid-January of the last fiscal year 2015/16, prompting the central bank to conclude that such rise in prices coupled with slowdown in economy could lead the country toward ‘stagflation’. 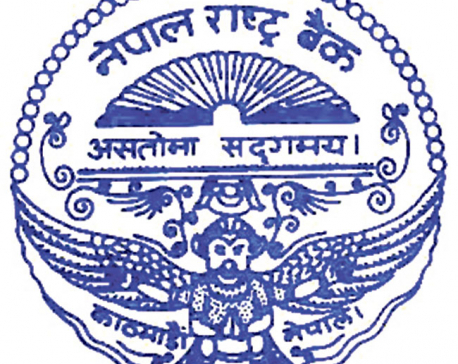 “The deceleration of the inflation rate can be attributed to the end of unrest [and Indian blockade], smooth resumption of trade and normalcy in the supplies,” said Nara Bahadur Thapa, executive director of Nepal Rastra Bank. “However, the prices are still too high now because the price rises of that scale were obvious last year due to such unfavorable situation in the country. Instead of the price level coming down after the situation becoming normal after the tarai unrest and border blockade, it has gone up,” he added. While the data shows that inflationary pressure on food and beverage groups like pulses, ghee and oil, and cereal grains either went down or eased in the review period, prices of non-tradable goods like education, restaurant and hotel, housing and utilities and health along with alcoholic drinks went up significantly. “If you track the movement of prices of goods and services in our basket of CPI, some of those price rises are the result of the government decision to raise the civil employees’ salary and tax rate of alcoholic. Education institutions raised their fees and tuition, house rents went up and service sector cost went up,” added Thapa, who also heads Research Department of the NRB.